Each DEMO/SAMPLE pack contains 3 scales. Scales can measure vertical and lateral motion. 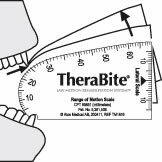 The TheraBite Range-of-Motion (ROM) are disposable paper measuring scales, specifically designed to allow patients and providers to measure the opening, movement and function of the mouth and jaw. This is for a Demo/Sample pack of 3 scales. 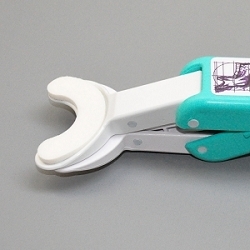 The full packs are available at TheraBite Jaw ROM Scale Pack. 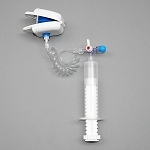 SAVE 33%. 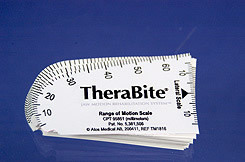 Compare the TheraBite scales to the OraStretch® ROM scales.